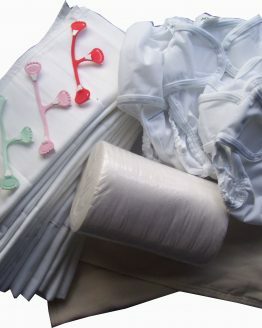 The ecobots cloth nappy starter pack contains all that you need to start using pre-fold cloth nappies. Get started with cloth nappies, try our cloth nappy starter pack and give ecobots pre-folds a try. 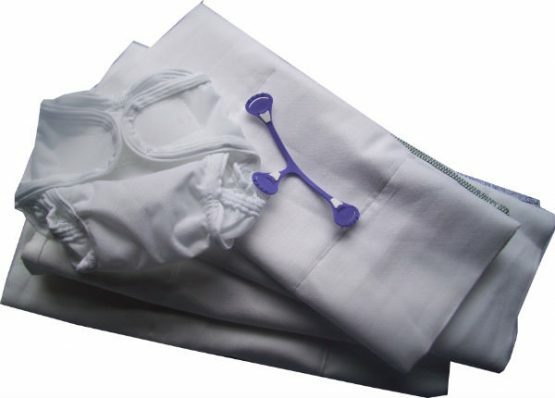 With six cotton prefold nappies, two nappy covers and a snappi nappy fastener you can give ecobots cloth nappies a go and see if they are for you. Each cloth nappy starter pack comes with instructions for using and caring for them, and each pack contains six nappy changes. 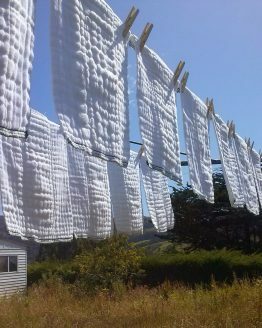 Ecobots cloth nappies are loved by thousands of Kiwi parents, give our cloth nappy start pack a go and see why today. With pure cotton pre-fold nappies which are soft, absorbent and natural against your delicate babies skin. With fantastic double gusset covers which can help contain the the most violent new born poos. 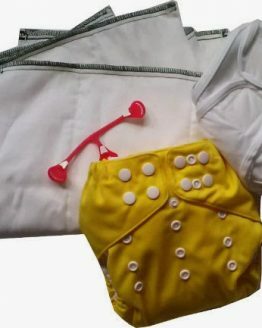 The cloth nappy starter pack also comes with a snappi nappy fastener, which gives an extra layer of protection and helps keep the covers clean for longer. Our starter pack has enough changes for just over one days use, which will give you chance to really try ecobots cloth nappies. It is also a great way to boost your cloth nappy stash without breaking the bank. Our Ecobots cloth nappy starter pack comes in four sizes, choose the correct size to fit your little one: Newborn 2.5-4.5 kg, Small 4.5-6 kg, Medium 6-11.5 kg and Large 11-16 kg.